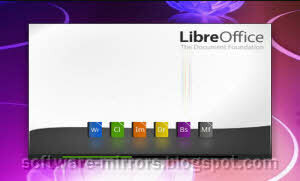 LibreOffice is a compilation of open-source office tools. If you are looking for a free office suite, this will be the best choice for you. It has an enriched text editor, a spreadsheet, and a program for creating presentations, similar to the package offered by other distributors such as Microsoft Office and OpenOffice. LibreOffice offered to create and edit almost any type of document that is normally found in an office, makes it one of the tools of choices by big companies and private users. The fact that it runs on different operating systems has also won support within the Linux community. Beyond the licensing fee, there is no cost for commercial use. LibreOffice is fast and consumes less computer resources. It also has the capacity to open most of the documents created in Microsoft Office or OpenOffice.